With the large number of smart device users, securing the information tends to be a job of supreme importance. Increase in the number of cyber attacks is the reason strong enough for organizations to be prompt in ensuring the safety of their data. Not all firms have in-house security-management services at place. Companies thus in cyber-security domain are among the most important partners you will be working with, no matter how large or small your organization is. Founded in 2012, Kratikal one of the most trusted standards for companies and individuals acquiring services for ensuring the safety of their business, brands and dignity from baffling cyber-attacks. Kratikal is one of the top companies providing cyber-security services. We provide end-to-end security solutions to our clients. Our thrust on securing the People-Process-Technology has enabled us to offer impenetrable security to our clients across the world. Kratikal provide complete suite of manual and automated security testing services. Services such as security testing for application, cloud and server are our forte. 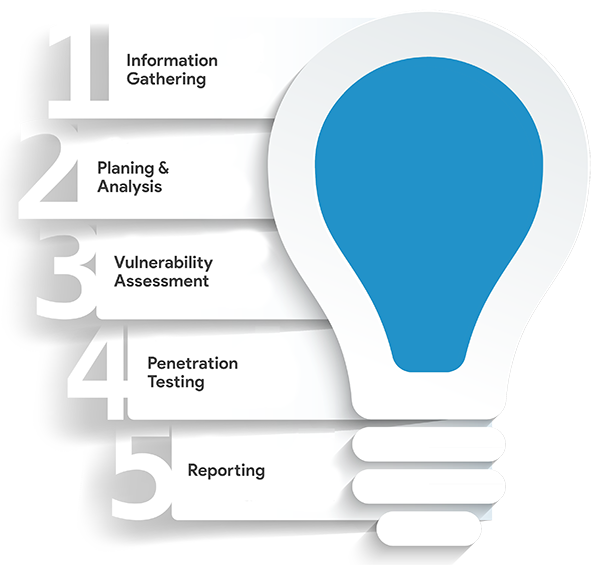 We also provide penetration testing services for an organization’s network and infrastructure. Our team is well balanced to handle all your security requirements, providing an effective protection against a range of modern cyber threats. Kratikal has unequivocal quality and flawless customer experience when it comes to VAPT of IT resources. In the past 4 years, we have tested 500+ applications and 5000+ IT infrastructures ranging from E-commerce, Fintech, BFSI, NBFC, Telecom, Consumer Internet, Cloud Service Platforms, Manufacturing, Healthcare and more. Kratikal also offers security auditing like PCI DSS, HIPAA, GDPR and ISO 27001. The company’s flagship product ThreatCop is an automated security attack simulator and awareness tool to automate the testing process providing real-time analysis of threats, bugs and vulnerabilities. It also generates detailed reports regarding the product. We are helping over 60+ clients globally, spread across India, US, UK and MENA (Middle East & North Africa).